Neel ( Phobos ) A/V Show Sample from giuseppe tillieci on Vimeo. There’s a large empty space on your record shelf, in between Nurse With Wound’s “Space Music” and Pete Namlook & Tetsu Inoue’s “Shades of Orion”: a gap between the cold, lifeless experimentations of Steven Stapleton—space heard as a largely silent void punctuated by the sudden and infrequent arrival of massive objects—and the romantic imaginings of 90’s space ambient which filled space with idealistic longings of earth. There aren't many records to put right between those two. But now Neel has given us one, Phobos, and it’s both a lustrous and shadowy beauty. After debuting stellar live performances at Mutek in Montreal as well as Berlin Atonal, the time to release an album documenting the material has arrived. 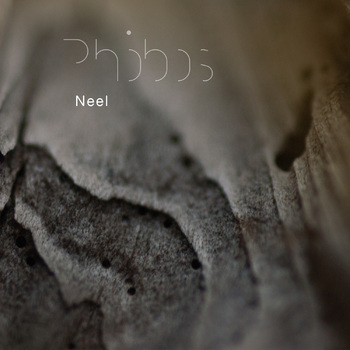 Phobos is the debut LP from Neel, well-known as the sonic mastermind behind the Voices from the Lake project, together with his fellow Italian DJ, friend, and cosmic joker Donato Dozzy. Neel is a young mastering engineer with golden ears, and through Voices from the Lake, he and Dozzy have brought a level of immaculate sound production to techno which, to be honest, simply hasn’t existed before. Alone, however, you might feel Neel sounds even better. Phobos is a carefully cut gem, reflecting layers of patient detail and filling the full frequency range with a perfect balance. Voices from the Lake is an organic project, with a tight focus on water and life, but Phobos has leapt to the opposite end of the spectrum. You cannot take a sampler's magnifying glass to a place that does not transmit sound—another kind of imagination and technique is required. The sonic results are a real treat. This album more than most, will benefit from whatever outrageous hi-fi you can swing at it. Don’t just play it loud—play it well. Legend has it Neel constructed Phobos out of an elaborate narrative concerning Phobos, the larger of Mars’s two moons, Fear and its brother Dread, the son of Aries and Aphrodite, the moon which sets twice across the Martian sky each day, and which each century draws closer to its red parent by one earthly meter, in a 50-million year gravitational tease that can only end in destruction. Further investigators will have to tease out the real details of that story from Neel, but for us the album slowly traverses through deep space over the course of a single hour-long track, patiently passing slow-turning objects and desolate plains, until the final minutes where it unpacks itself—presenting all the pent-up emotions from a long trip—in a blissful moment that marks the end and beginning of this voyage into space alone.